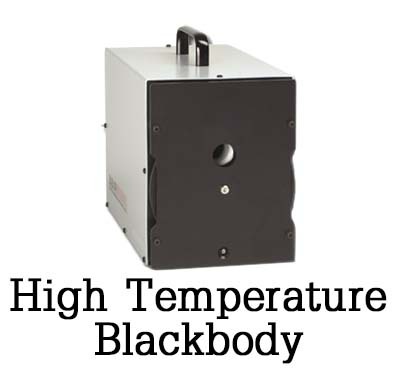 The 4100 High Temperature Cavity Blackbody operates from 50°C to 1000°C absolute temperature. 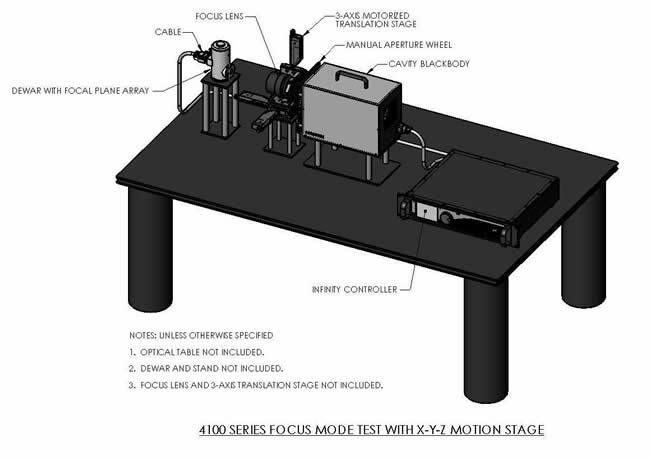 It is built around an innovative cavity design that significantly improves both uniformity and slew rate of the blackbody system while simultaneously improving test accuracy and reducing test times. 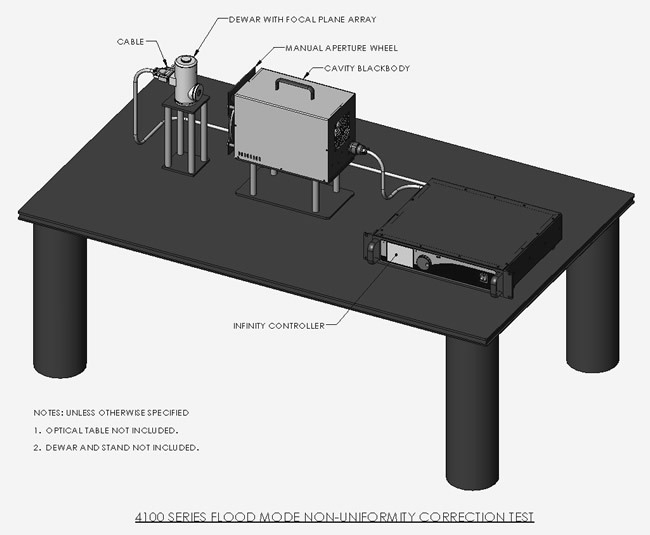 The 4100 also incorporates the many advantages found across SBIR’s entire blackbody product line including: more stable and accurate temperature control, quick and easy blackbody interchangeability, non-critical cabling, multi-function controller, high immunity to EMI, ease of calibration and easy integration into a larger test system. 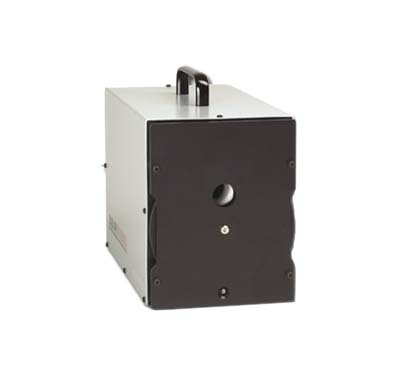 The 4100 High Temperature Cavity Blackbody is an ideal choice for applications where high temperature and high performance are a requirement. 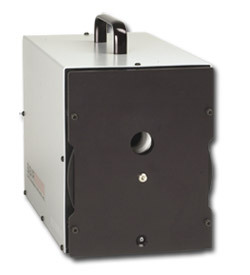 The unique cavity construction of the 4100 preserves the high emissivity of traditional cavity blackbody designs, but greatly improves the unifo rmity and slew rate of the system. 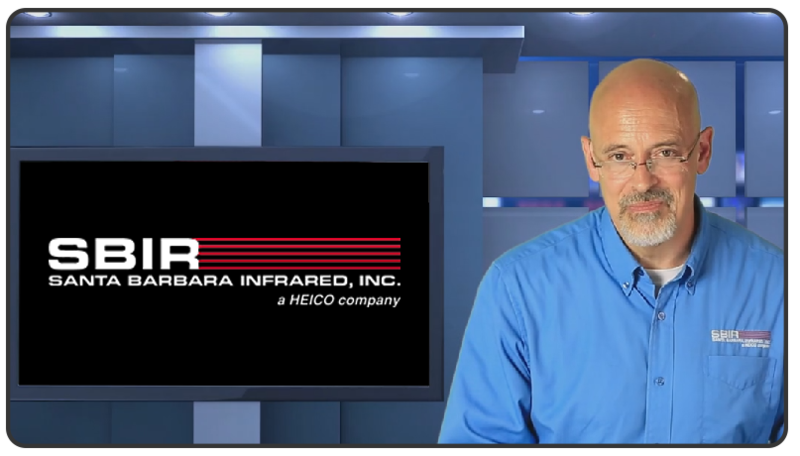 Cooling rates are markedly faster, significantly reducing test times. The microprocessor-based temperature controller is designed for optimum accuracy and stability. A high resolution enhanced PID temperature servo provides zero drift and low jitter control of the emitting surface's temperature. Calibration is fast and easy. All adjustments can be made directly from the front panel or through the remote interface. Calibration points are independent of each other, allowing the user to touch up a single calibration point. An extensive BIT assures that the blackbody is functioning properly during use. BIT is automatically invoked on power up and a continuous background (transparent to the user) BIT is performed during operation. An eight position, manual aperture wheel is included with the 4100 blackbody allowing quick and easy selection of limiting apertures and targets. Apertures are not included with the system. A large variety of pinhole apertures and slit targets are available to order. 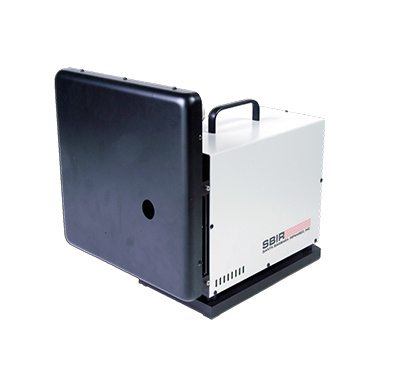 Includes variable frequency chopper, motorized 12-position aperture wheel, motorized 8-position filter wheel and shutter. Read below for more information. 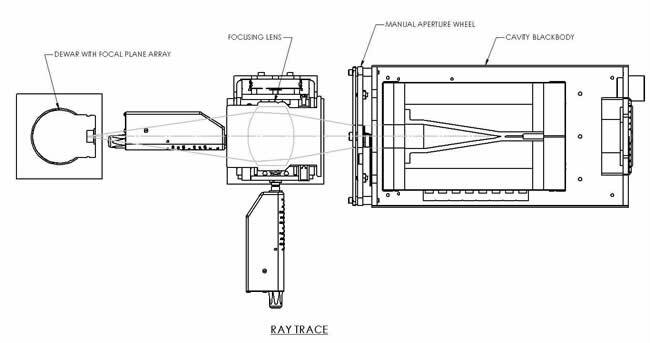 A motorized aperture and filter wheel replace the manual aperture wheel from the standard configuration, enabling multiple apertures or filters to be rapidly and precisely positioned in front of the blackbody. Maximum aperture thickness for purchased filters from third party vendors should be less than or equal to 0.300". Selection can be made from the front panel of the controller or via the optional remote interface (IEEE 488 or RS-232). A mechanical chopper can be used to modulate the blackbody radiation. Dynamic range of the chopper is 1000:1. A variety of blade sizes and speeds are available. The modulator can be controlled from the front panel or through the remote interface. 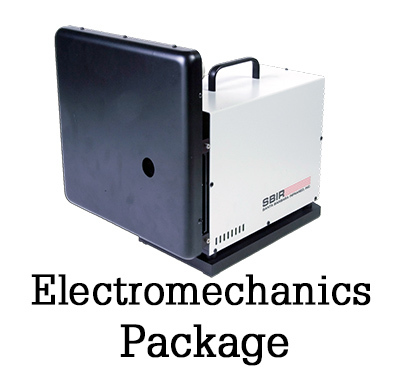 The blackbody controller is designed for bench-top or standard 19 inch rack use. Rack mount ears are included with the instrument. A rack slide kit is also available. An optional remote control is available. All instrument front panel functions can be accessed using this handheld unit. It is connected to the temperature controller with a 10 foot cable. Approximate Blackbody Weight 15 lbs. Approximate Controller Weight 21 lbs. Notes: 1. Short term is defined as less than one hour and long term is over 1 hour. A – Ger., Neth., Swed. Please contact the SBIR sales team at (805) 965-3669 or at sales@sbir.com to ensure the proper part number and to receive a quotation.